Doors at Hec Ed will open at 5:00 p.m. Graduates, please be on the arena floor by 5:30 p.m.
Coffee and cake reception on the Hec Ed concourse will immediately follow the formal program. Disability accommodations and other logistical questions, please contact Sophie Ostlund at (206) 221-6351or sao660@cs.washington.edu. Livestream the event on the Allen School's YouTube page! 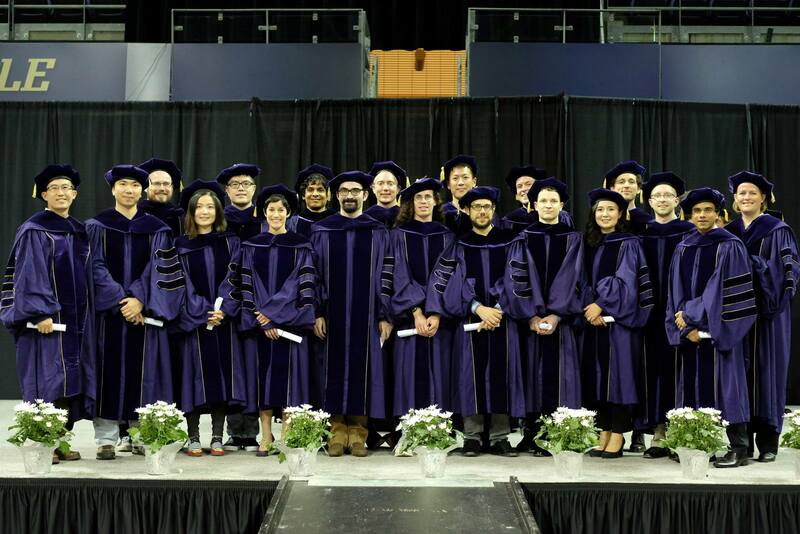 Eligibility to participate: Anyone who earned or will earn their BS, MS, or PhD in Summer 2018 through Summer 2019 is eligible to walk in the department celebration and/or the big UW Commencement Ceremony. Dress: Regalia recommended but not required (must be ordered from UW, see checklist below); otherwise business casual. Please sign-up to participate in the Allen School Graduation Celebration by filling in this sign-up form [coming soon]. Tickets are not required for the Allen School Graduation Event (you WILL need tickets to the UW Graduation Ceremony on Saturday, see below). You are welcome to invite as many guests as you would like. Souvenier invitations for your scrapbook will be mailed to your address as listed in MyUW. Please update this by April 15. PhD students will have the invitations placed in their CSE mailbox. Parking: Graduates will be able to pre-purchase parking permits ($14) when they register to participate and order their caps and gowns in May. Day-of-event parking permits will cost $1 more. See details on the UW graduation parking webpage. Now: Start telling your family and friends to save the date for either or both ceremonies. Update your addresses in MyUW by April 15. By May 22: Sign-up for the Allen School Graduation Celebration [coming soon]. PhD grads: Tell your advisor you are planning to participate! May 8-26: Order regalia if you wish to wear it (highly recommended, especially for PhD grads) and parking permits for Friday night, if you or your family plan to drive. 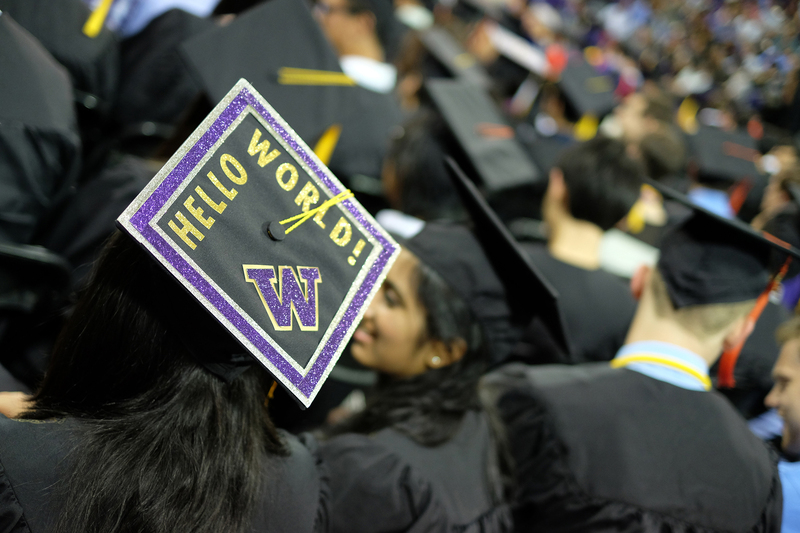 Order tickets and parking permits for the big UW Commencement if you are participating in it. Use the UW Graduation Registration/Order form to order regalia and parking permits for either event. Lineup starts at 12:30 p.m. The Registration/Order form is available May 8-26.